garden organically; strengthen harmony among plants, earth, animals, and people. Educational activities are scheduled that will benefit the overall quality of the environment by improving air, water, and soil in the community. The club encourages members to garden organically and to strengthen the harmony among plants, earth, animals, and people. The Environmental Group promotes educational programs that center on environmental stewardship and conservation. Activities are open to all RGC members. This year the Environmental Group will sample a variety of activities showcasing the many different facets of “environmental.” From foodscaping with Brie Arthur and the Raleigh City Farm, to decorating hand-made birdhouses ) for the Raulston Blooms competition, we will learn about a variety of environmental concerns and what we can do in our own gardens and households to improve our North Carolina home. March 21: Thursday, 2:00 pm. Stream Walk at Prairie Ridge Ecostation, 1671 Gold Star Dr., Raleigh. We’ll meet with a naturalist to study stream ecology and learn how to use various tools to test and measure the stream to determine if it’s healthy, followed by a walk around the grounds. The program will last about 90 minutes and involves walking on trails and uneven ground. Prairie Ridge consists of 45 acres of Piedmont prairie, forest, ponds, a stream, and sustainable building features integrated with a wildlife-friendly landscape, within a stone’s throw of Wade Avenue and Hwy 440. 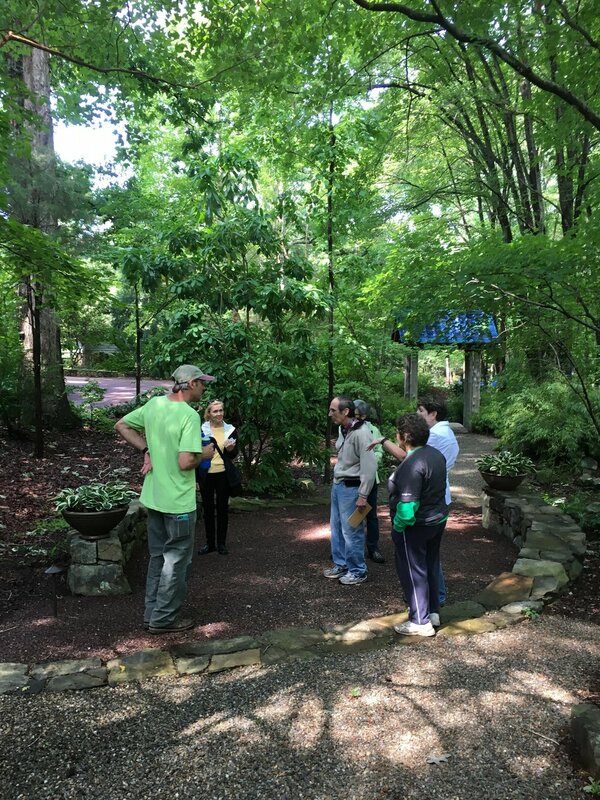 We’ll take a stream walk with a naturalist, with opportunities to learn about native plants and birds along the way. April: Day and time will be announced in The Leaflet. Raleigh City Farm, 800 N. Blount St, Raleigh, NC 27604. From the website: Raleigh City Farm is a nonprofit urban farm founded in 2011 on a formerly vacant one-acre lot in downtown Raleigh. Today, Raleigh City Farm is an integral part of the local community, reducing waste, creating healthier communities, and reconnecting city-dwellers with healthy food production through more frequent encounters with agriculture. We’ll tour the Farm, learning about what they grow, how they grow it, and where it goes after harvest. May 22: Wednesday, 2:00-4:00 pm. JCRA. Annual plant exchange and tea. Please bring a plant (or several) to exchange with other Garden members. This is a mostly social event, a time to meet other RGC members and learn what is growing in each other’s gardens. Beverages will be provided. New this year: Potluck dessert! Members are encouraged to bring something delicious. Pictures from our tour of a food scape garden, the North Carolina State Fair gardens., and a pollinator garden in Chatham County. 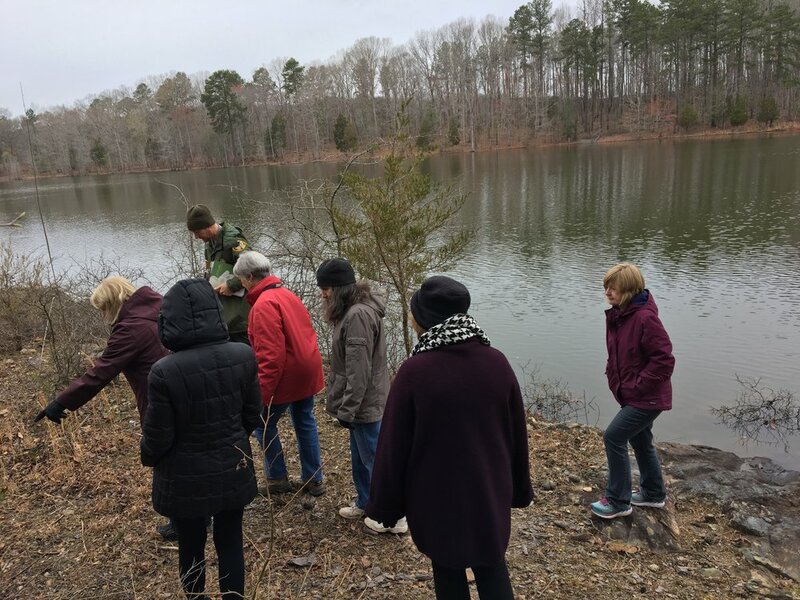 Previous activities of the Environmental Group have included visits to gardens featuring native plants, Paint and Sip fundraising parties, a tour of a stream restoration project on the NCSU campus, a visit to NCSU phytotron, and a seminar on invasive plant species. We usually finish each year with a plant exchange and tea.